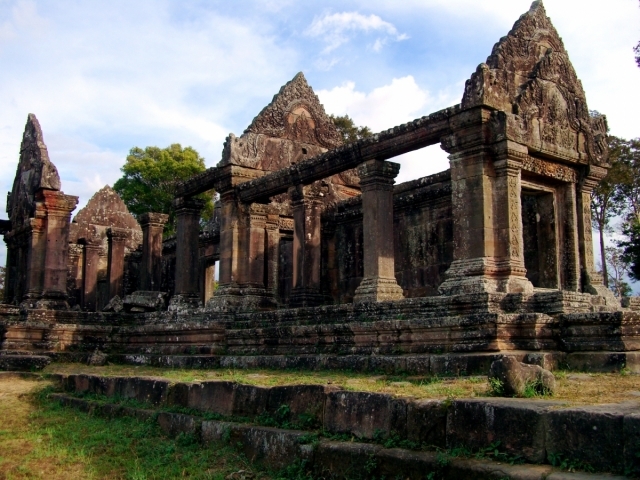 Cambodia is a country of tourism and temples. 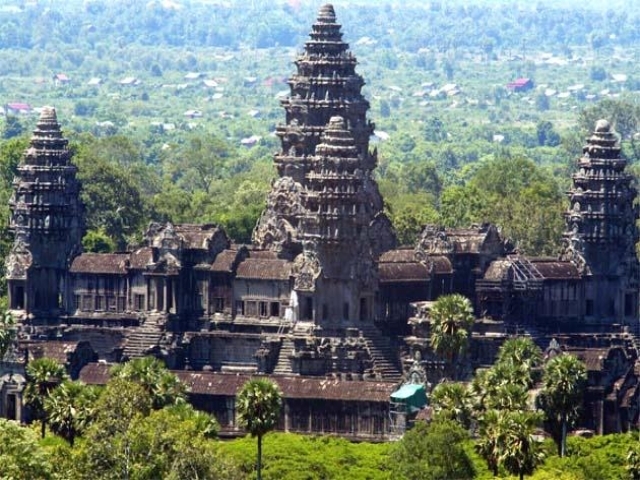 Among hundreds of amazingly ancient temples in Cambodia, there are 2 following properties inscribed on cultural heritage list of the world recognized by UNESCO, and these 2 wonders much help Cambodia in attracting travellers worldwide. Angkor was the capital of the Khmer Empire that evolved from the 9th century north of the lake Tonle Sap. The Empire encompassed much of south-east Asia, and it has had a lot of political and cultural influence on the whole region until its downfall in the 14th century. Because of this influence of the Khmer Empire and because a number of artistic masterpieces are still left, the site was placed on the World Heritage List. The first Khmer capital erected here was Roluos. Over the next centuries, the various Khmer rulers built other capital cities for themselves in this area. It was Suryavarman II who built Angkor Wat in the early 12th century, the greatest of all Khmer monuments. Jayavarman VII was responsible for building Angkor Thom, including the Bayon (dedicated to Buddha). The Preah Vihear Temple is a Khmer Hindu temple situated on the edge of a plateau that dominates the plain of Cambodia, the Temple of Preah Vihear is dedicated to Shiva. The Temple is composed of a series of sanctuaries linked by a system of pavements and staircases over an 800 metre long axis and dates back to the first half of the 11th century AD. Nevertheless, its complex history can be traced to the 9th century, when the hermitage was founded. This site is particularly well preserved, mainly due to its remote location. The site is exceptional for the quality of its architecture, which is adapted to the natural environment and the religious function of the temple, as well as for the exceptional quality of its carved stone ornamentation.